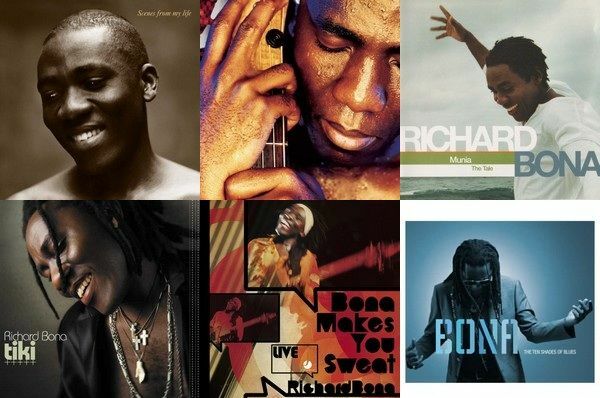 With over 10 records, countless awards and collaborations with virtuosos such as Mike Stern, Bobby McFerrin and other idols from the world jazz scene, Richard Bona is now one of the most brilliant composers of popular music, beyond what we can call jazz. He can take his voice, techniques and ideas into the deepest levels of imagination. I had the honor to interview Mr. Bona, and this is what happened. 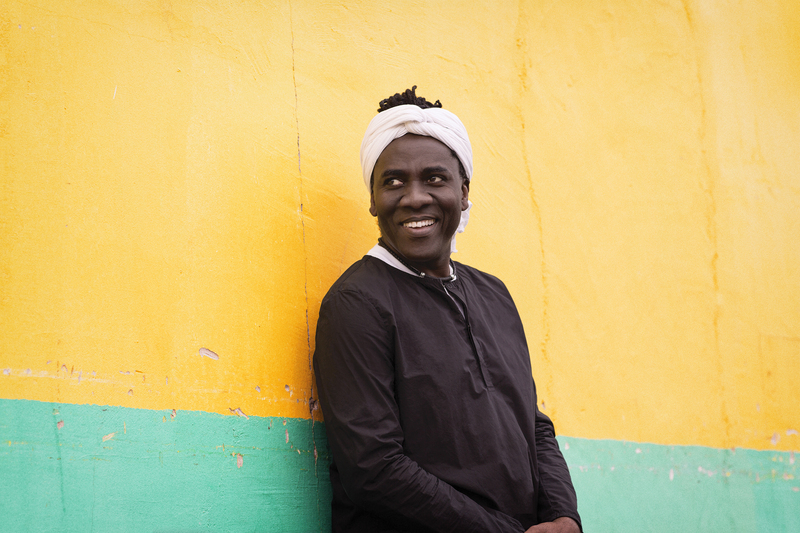 Richard Bona. Photo (including the front picture) by: Rebecca Meek. -How did you find your own voice as an artist? I think that is very difficult for many people, but you did it. -I guess by being myself, and being myself meaning learning a lot from others voices. My voice is the compilation of all that I’ve had with other artists, and mixing them with my background, because I come from a very traditional musical background. -You were born in Cameroon. You actually created your own instruments when you were a kid. I wanted to know: how does a kid find his way through music? -When I was a sparking kiddo I was surrounded by music. It was part of my family, part of my father, part of all my great uncles. So I was just around occupied musicians. You pick a little bit of a musician trainer, taste the art, without looking judgemental. So that’s what happened to me. -How was it for you to be a musician, living in Cameroon? I couldn’t know because our cultural backgrounds are completely different. -It wasn’t difficult at all. People have the perception of music as an activity being difficult. But I don’t think that’s difficult, that’s the only thing I know. I was born in Africa, in a village, there were some houses around me, but that was it. I didn’t know New York, I didn’t know Paris, I didn’t know Mexico or anything else. This is my life, this is what I do and I enjoy it the most I can. And I had a beautiful amazing childhood living in that place. Of course, is when you discover other playing, and you start to play, other people start having a perception looking to my side. But when I was a kid, when I saw pictures of bigger houses, of buildings, I felt bad for this people. I don’t mean to judge, but I swear, when I saw the first picture of Europe, as a kid, with buildings all around and I couldn’t believe it, I felt bad, that was my first thinking. And now I’m in New York living in a box. -You actually created you own instruments when you were a kid. -Yeah! That’s the other thing. 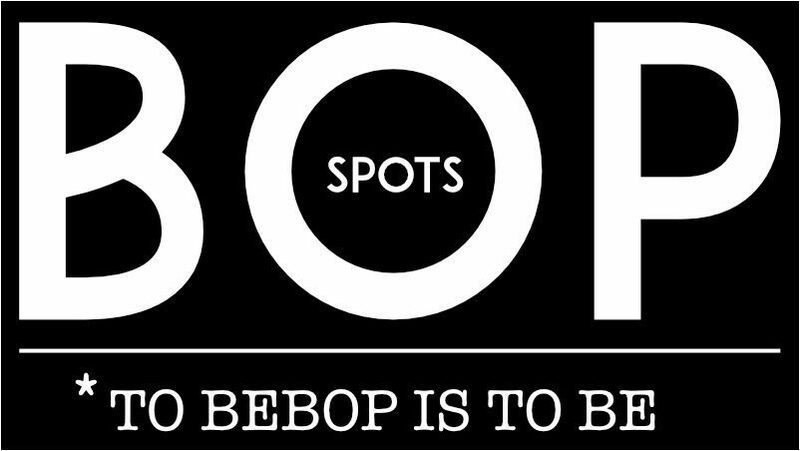 I live in New York, I will have this coming out in October, my first design with my name “made up by Richard Bona”. When I was on my village, I had to make that, I didn’t have an electrician, I had to build this thing on my own. So now I’m going to do it for the kids that live in New York. I will use the technology to build this instrument, that’s how it has to be. -Usually composers say to me what you said before: you have to learn a lot to find your voice. But you can also just being creative, as you were as a kid. Can you talk to be about the difference? -All the artists are part of the creation. There is nothing that the human being can create. Ok? Everything is supposed to be because he has a soul. I can be a musician because I’m inspired. Listen to Miles Davis, he tended to be inspired by what John Coltrane was doing. But I didn’t create anything, and no one single musician would create anything. It’s a fictional conception, a European conception of creation that if you are a creation of God, then you can create anything at all. If you think there is only one God, then it’s not pure anymore: “it is the god who created the submarine, it is the god who created the airplane…”. We only copied the bird to make the airplane! We only copied the nature! When we came to the surface of this planet, life already existed. I just thank what life gives me, and the music. I thank to this life to be inspired, to be able to write. But I wouldn’t call myself an inventor or a creator. -Your songs are about life, faith… why do you choose those subjects? -I use those subjects because those are the subjects that keep me alive. Those are the reason I am alive. I know, I just know what keeps me alive, what keeps me stand. I’m not a religious person, I just know that there’s somebody, that there’s something and I’m grateful to that thing, but I’m glad I don’t know what is that thing, I love that I don’t know. The more I know in life, the less I know. I look at the stars, look at the sky, be quite… and it humbles me even more, to show me how little I am in this place. And it makes you look at life from a different angle. I wish we did that, I wish a lot of human beings do that from time to time. Just watch the nature around you, the nature is looking to you, is talking to you, showing you a sing all the time, but we forgot. Our ancestors knew all that. Richard is a great example of what means to be an artist. His music is popular, but it is also intelligent and profound, musically and philosophically speaking. So I asked him what he thinks about popular music nowadays. He said that most of the popular “artists” tend to actually turn themselves against art because they want to sell, and music is not their priority. He wishes they could just “look at the morning, breath and be grateful” instead of thinking about “buying a car”. He added that “they are not doing anything. They lead like liars, they want to make more money, to be number one. In life, when you become a number one, there’s nothing more to learn. That’s why I never wanted to be the number one, I wanted to be in the middle”. So, thank you very much, dear Richard! Your words and your music will keep us alive too. 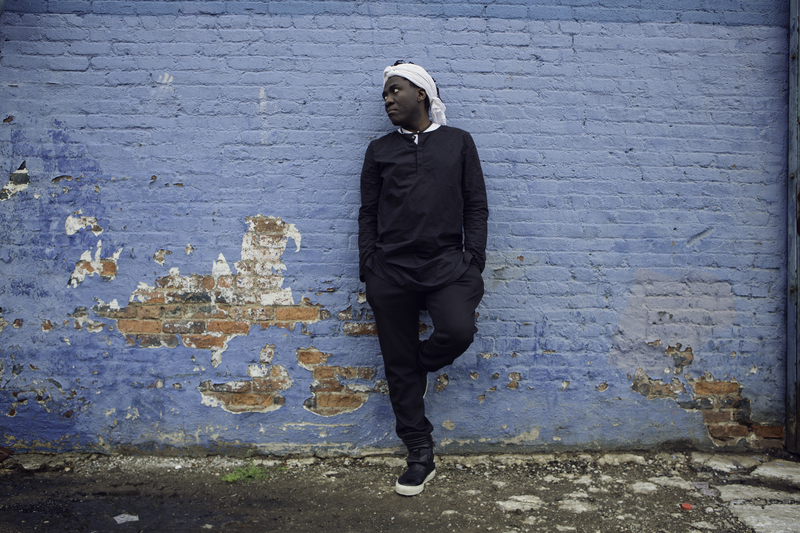 ***Check our calendar of jazz events to know about RICHARD BONA IN MÉXICO.